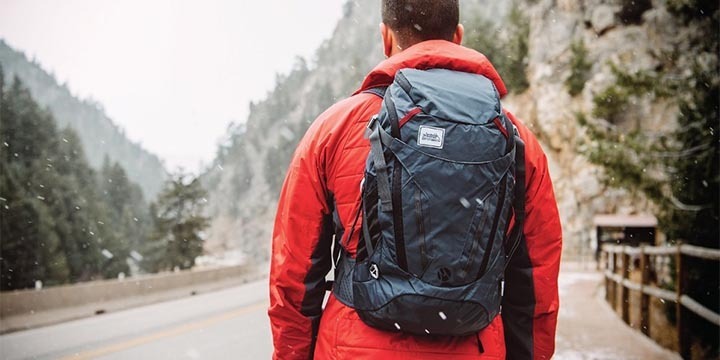 While traveling, weather can become quite unpredictable, so to stay prepared it is essential you have an umbrella on you ready to be used whether it rains, or gets too hot. Umbrellas come in a huge range of varieties. It may not be an easy choice when you are looking for the best umbrella that is portable, strong and highly efficient at its purpose. The best umbrella for travel can be best described as one that is windproof, rainproof protects against the sun and is easy to handle. 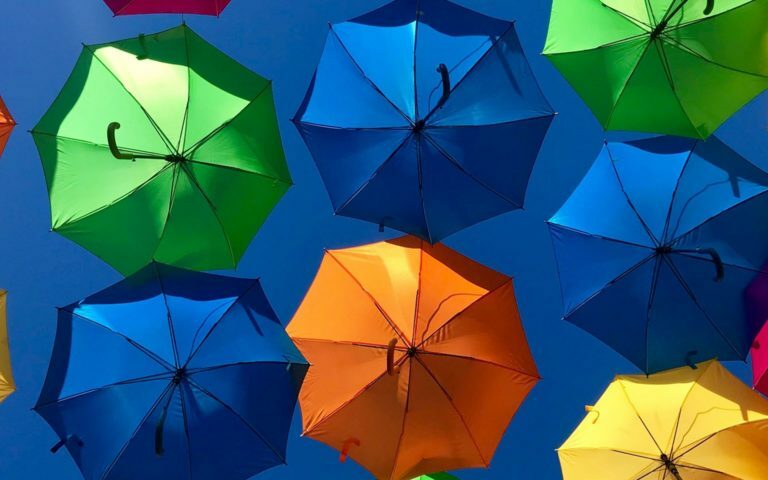 If you are looking for the best umbrella, here are nine for you to consider They are effective at their purpose and include some special features specific to each brand. The Repel Windproof Travel Umbrella with Teflon Coating is an excellently designed umbrella that screams perfection. While most travel umbrellas are made of 6 to 8 ribs, the Repel Windproof Travel Umbrella boasts 9 flexible ribs made of resin-reinforced fiberglass. The ribs can withstand powerful gusts of wind without turning inside out. 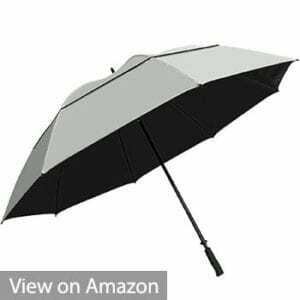 This is even more facilitated by the umbrella’s 3-fold chrome black metal shaft and sturdy metal frame. With the Teflon coating, the Repel umbrella is waterproof. It is able to repel water and the canopy dries instantly. 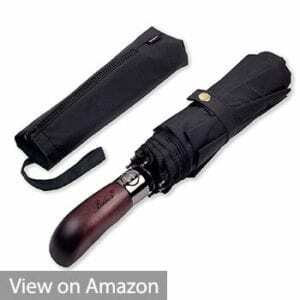 The automatic open and close button on the handle allows for easy one-handed opening and closing of the umbrella. The handle is also ergonomically designed, it is made of rubber, it’s slip-proof and comes with a wrist strap for easy handling of the umbrella. 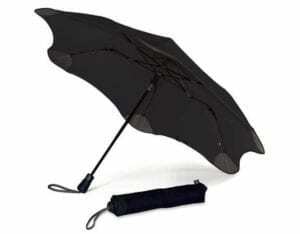 Additionally, the umbrella weighs less than 1 pound and measures only 11.5 inches. This makes it easy to carry in purses and backpacks. Best of all the Repel umbrella comes with a lifetime guarantee. In case your umbrella breaks or anything else goes wrong, it can be replaced and at no charge at all. Comes on a nine-rib construction design that is pretty strong even in winds. Has a higher rate of water repellency due to the use of Teflon. Comes with a lifetime replacement guarantee from the manufacturing company. For a travel umbrella, it is pretty costly. While the nine-rib design might look strong at face value. Its durability, especially in frequent use a huge sell-off. The Rain-Mate Compact Travel Umbrella is a high-quality umbrella built to last. 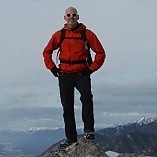 It is wind resistant and waterproof. The Rain-Mate umbrella comes with an all metal frame and shaft coupled with 9 reinforced fiberglass ribs for maximum strength against powerful winds. Together with its fail-safe flip technology, the Rain-Mate umbrella is essentially indestructible. When gusty winds come the fiberglass hinges allow the canopy to invert but without breaking or bending the ribs. 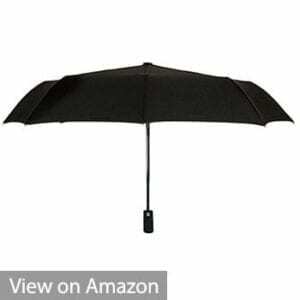 This umbrella features an automatic open and close function for instant control and operation of the umbrella. It has a 3-fold telescopic shaft which collapses to a small 12 inches. Despite this, the canopy opens to a large 42 inches. It also includes a travel sleeve for dry storage of the umbrella in your backpack or purse. And if anything happens to your umbrella. rest assured it has a lifetime replacement guarantee. Fiberglass hinges that make it windproof. Yes, I said windproof. A lifetime replacement policy by the manufacturing entity. Collapsible shaft top enables packing into small bags when traveling. Automatic closing and opening mechanism. From the onset, the umbrella looks and feels rather rigid. Overconcentration on windproofing makes it susceptible to a little leaking when it rains. The Sharpty Inverted Umbrella is durable and versatile. It is designed with a C-shaped handle that allows the user to walk comfortably while doing other things at the same time, like taking a phone call or even holding groceries. Designed with an inverted mechanism, it allows you to close the umbrella inside out without dripping any water. It’s 6 strong ribs give it a high resistance to powerful winds. Winds in excess of 60 miles per hour. The ribs and stretchers are made of sturdy carbon fiber material which is corrosion resistant. It also offers a double-layer canopy to protect against harsh sunlight. For customer satisfaction, the Sharpty Inverted Umbrella is 100% satisfaction guaranteed and in case you are not happy with its functioning, you will receive a replacement or a full refund. The Sharpty umbrella is waterproof, windproof, quick to dry, lightweight, stylish, compact and is designed with customer comfort in mind. Stylish colors. The dazzling array will just blow your mind away. It is extremely durable. It doesn’t age fast even when frequently in use. The canopy material is rather flimsy, it might be prone to leaking. It is small in size, it won’t easily cover to medium sized people well. The inverted design gets pretty confusing when you are not used to it. The EEZ-Y Compact Travel Umbrella is constructed with a vented double canopy. The vents are in the main canopy and allow wind to pass through preventing the umbrella from turning inside out. The second canopy protects against water. The umbrella boasts of 9 ribs made of fiberglass and metal shaft. These provide the umbrella with maximum strength and sturdiness against strong winds excess of 55 meters per hour and harsh rainfall. 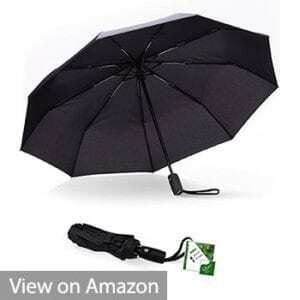 This umbrella comes with an auto open and close button for easy operation. The handle is made of rubber for convenient handling and it is non-slip. 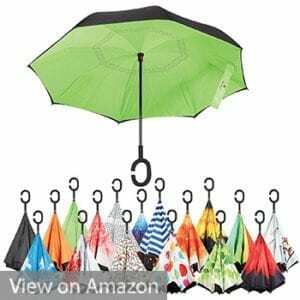 The umbrella is small and tiny, in fact, it folds to 11 inches and fits well in any purse or backpack. 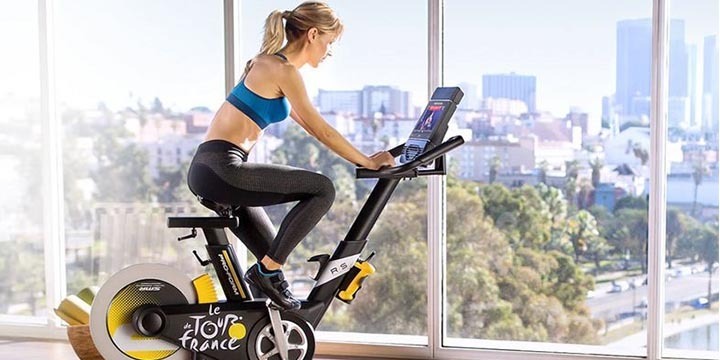 It also comes with a lifetime guarantee that offers a full refund in 90 days if you are not satisfied with the functionality, and a lifetime replacement warranty for breakage or any other issues. Vented double canopy design that allows the wind to pass through the canopies. Fully automated opening and closing mechanism. It is pretty easy to work too! The umbrella is well built and fairly sturdy even in adverse wind conditions. It is fairly big. If you have more than you alone using it, you will still be pretty comfortable. For the high price it retails at, I would say its qualities are not good value for your money. It is not durable. Those who have used it for a couple of months have reported problems with the double canopy. 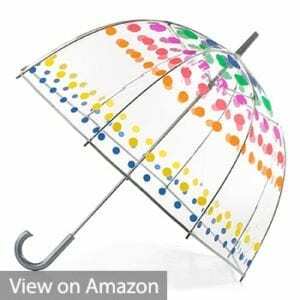 Filled with dots, the Totes Clear Bubble Umbrella is stylish with a 47-inch dome shape for maximum coverage. The steel shaft is classically designed and durable. Totes is a windproof umbrella, it is transparent with bubbles on its canopy that pulls your eyes. You might need it if you are the type of person who attends special occasions that needs the style vibe. It’s also rainproof and easy to use too. It’s clear and allows you to see where you are going, essentially one of the best travel umbrellas on the market. Little design flaws here and there. Sometimes the strings drop off, or the handles drop. Not really shareable between two people. For comfort and luxury, the Balios Prestige Travel Umbrella offers the best of both worlds. It has a handmade wooden handle that is fashionable and easy to carry. The handle also has an auto open and close function. The umbrella’s double canopy is made of 300T (thread count) high-density fabric for superior protection against water and wind. The material is water repellant and dries quickly. The canopy is also vented and allows wind to pass through without inverting the umbrella. Made in Britain, the Balios Prestige Travel Umbrella is exquisitely designed and aims to offer the user the best experience. Its unique frame is constructed with high-grade steel. The ribs are fiberglass for better durability and sturdiness. Balios’ commitment to high- qualify umbrellas is even more apparent with their lifetime guarantee. Quality workmanship right from the onset. An extremely water repellant canopy that shakes off droplets of water quite easily. Does not invert even under the pressure of very strong winds. It is rather heavy compared to the other umbrellas. 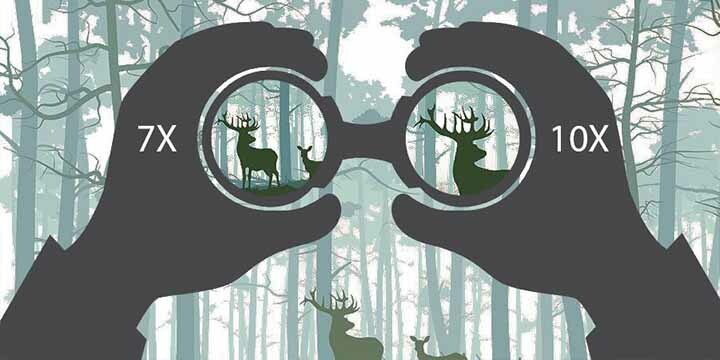 The auto-open feature that it has puts quite a dent in its durability. The Sun Tek umbrella offers a 68-inch arc, 57-inch diameter canopy that is wide enough for two people. The shaft and ribs are made of fiberglass which is strong and durable. Additionally, they provide extra protection in case of a lightning storm. The umbrella offers a comfortable handle that is easy to hold and is perfect for a golf cart. Made of 100% nylon, the Sun Tek umbrella is wind and water resistant. It protects against UV rays and comes with a Vortec venting system that prevents the umbrella from turning inside out in case of strong winds. UV umbrellas are usually made big. Works impressively in the sun. 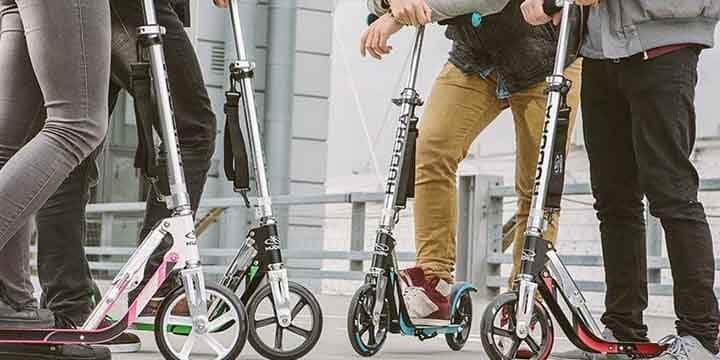 Sturdy design that can hold steady while in motion. The UV screens used to make this umbrella are rather flimsy. The umbrella is not durable at all. The Stephen Joseph Pop Up Umbrella is designed specifically for children. It comes in a variety of loud colors attractive to children. It has an easy push and pulls opening that prevents pinching of children’s little fingers. Plus, it’s 100% nylon which is of superior strength. 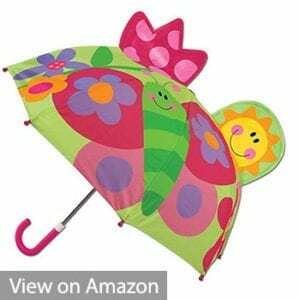 This children’s umbrella also offers a wrap around velcro closure that stores the umbrella. No mom can resist the charming characters who’ll protect your child from the elements. The easy push/pull opening keeps little fingers safe from harm. They’re so fun, your kids will want it to rain all the time! 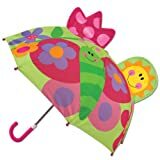 For the small children who love gay bursts of color, this is the umbrella you should get for them. Opens and closes quite easily. The design incorporates sturdy features and ease of use for use, especially for small children. The material that makes the umbrella is of rather low quality. 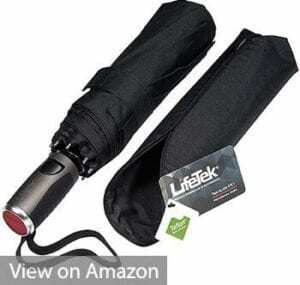 The LifeTek Windproof Travel Umbrella is ergonomically designed with a vented Teflon double canopy which can withstand violent winds and harsh downpour. It is corrosion resistant. And comes with a 45-inch canopy made of LifeTek’s signature black 210T micro-weave fabric that protects against UV sunlight. The umbrella is portable and lightweight. It offers a trifold mechanism with 9 ribs made of resin, steel, and aluminum for stronger protection against wind and rain. It has an automatic button that opens and closes the umbrella instantly. 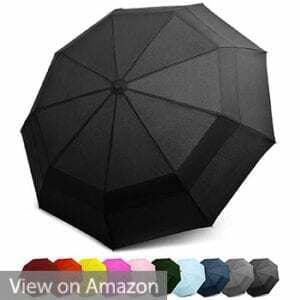 Additionally, the umbrella comes in various colors suitable for both women and men including navy blue, forest green, classic black among others. The umbrella is of quite a solid build. It holds itself quite well even in relatively strong winds. The folding design is the best feature of this umbrella. It gets very compact on folding that you can fit it even into small traveling bags. Comes with a two-year warranty from the time of purchase. It holds itself quite well when new, but the rib wires get bent quickly. It is not any good in strong rains. Here are some tips on how to choose the best umbrella for travel and windproof. A travel umbrella should be compact and small enough to fit into your travel bag so you’re always prepared whenever you need it. It should be durable enough to withstand frequent travel. Nobody wants an umbrella that is going to be used only a handful of times and then it gets spoiled. The best travel umbrellas are durable and last for a very long time. Some of the best umbrella brands actually offer a lifetime guarantee in case the umbrella breaks, or you are not satisfied with its functioning. The fiberglass designs should be able to withstand high winds, defend against heavy downpour and the sun’s rays. For the best windproof umbrella, go for something that has resin-reinforced fiberglass. Resin-reinforced fiberglass is tough and long-lasting. It also enables the umbrella to flex with any strong winds without turning inside out. The best travel umbrella should be light and easy to carry. It should be convenient enough to use anytime, anywhere. Opening and closing the umbrella should be easy, no complicated techniques involved. Ideally, it should have a quality open and close button to facilitate the opening and closing of the umbrella. The more the number of ribs, the more support the umbrella has and the higher its sturdiness against strong winds and heavy rain. For the best travel umbrella, the number of ribs should be six or more. The high number of ribs also enables the umbrella to keep open when strong winds pass. The double layer canopy allows the umbrella to stay upright and intact when strong winds pass without turning the umbrella inside out. The best travel umbrellas are coated or made from a water-resistant material like Teflon or Pongee fabric. The material increases their water repellency level and it is quick to dry too. The open and close button should also be of high quality and able to withstand strong winds. The handle should be highly efficient, it should be non slip, preferably made out of rubber enabling you to have a good grip on the umbrella.